What is the fundraising goal for the Growing campaign? The University of Mississippi Medical Center (UMMC) is working to raise $100 million to expand Children’s of Mississippi. What will the construction and renovation include? The campaign will fund construction of a new hospital tower and a dramatic renovation of the existing space. The size and scope of the expansion and the resulting facility is directly tied to the level of giving inspired. The final project will be an expression of the generosity of our donors. Construction will begin in 2018.
Who planned and organized this campaign? UMMC’s administrative and medical leadership, after long study and planning, agreed to undertake a multi-million dollar, transformative pediatric expansion project. Because the expansion will largely depend on philanthropic gifts, UMMC leadership launched this major gift fundraising campaign. Who will be asked to support the campaign? In addition to UMMC leadership, community leaders, grateful patients, and caring citizens from across the state will be asked to support the Growing campaign. As this campaign will benefit every child in Mississippi and generations of children to come, gifts from the public in any amount will be warmly welcomed. Donors are asked to consider five-year pledges to reach the generous levels of giving necessary for the success of this ambitious campaign. May I make a contribution other than cash? Are gifts tax-deductible? Yes. Gifts of appreciated stocks and bonds, real estate, life insurance, and charitable trusts will be gratefully received. A planned giving expert is available upon request to help potential donors understand the benefits of different methods of giving. In addition, there is an on-going opportunity for legacy giving beyond the scope of capital giving. Gifts in any amount are deeply appreciated and are tax-deductible to the full extent of the law. How much should I pledge to the campaign? Your pledge should be based on your ability to give and your belief in the mission of Children’s of Mississippi. Campaign leaders are happy to answer questions and discuss the size and structure of your gift with you personally. Please talk with a member of the steering committee or the UMMC Office of Development to learn how you can help. Donors who wish to be recognized will be listed on a donor wall upon completion of the campaign. The campaign also includes named gift opportunities that will recognize donors or those they wish to honor and will inspire others to give. Will I be notified when the payments on my pledge are due? Yes. You will receive regular reminders based on the pledge program you requested. What is Children’s of Mississippi? 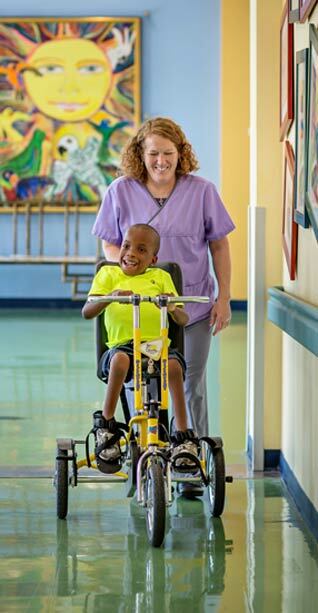 Children’s of Mississippi is the overarching organization that includes Batson Children’s Hospital and all pediatric care at the University of Mississippi Medical Center and its statewide network of outpatient clinics for children. To learn more, visit mississippikids.org.